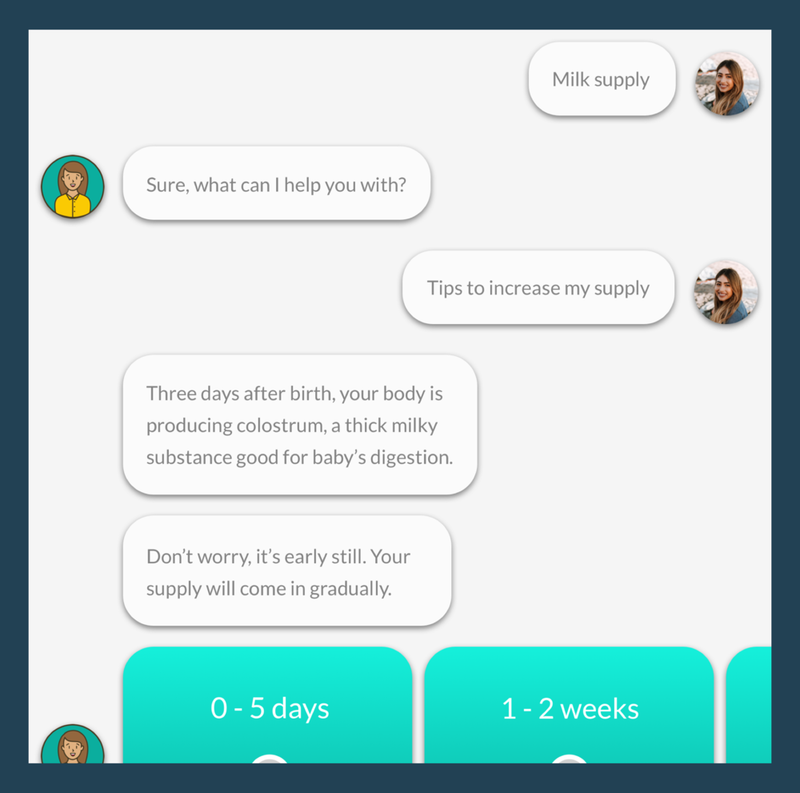 Ellie is an intelligent breastfeeding assistant that helps moms quickly identify and treat their breastfeeding challenges, 24/7 over Facebook Messenger. Ellie gives you information and tips to keep you informed, confident and on-track when you're just getting started. Tell Ellie if you're feeling any discomfort and she'll ask you a few follow up questions to understand your challenge better. She'll give you immediate and directed information to help you alleviate pain. A little pick-me-up every once in a while to put a smile on your face. Ellie checks in on you to see how things are doing and encourages you to reach your goals. Join Ellie's List, your source for motivation, useful tools, and credible information to help you along your breastfeeding journey.